If you're anything like us, collecting blankets, textiles, and quilts has become something of a hobby. But now we have to contend with the issue of where to stash all of our snuggly staples. Sure, storage runs the gamut from woven baskets to vintage chests, but there's something to be said for easy access. Plus, don't your beloved throws deserve to be on display? 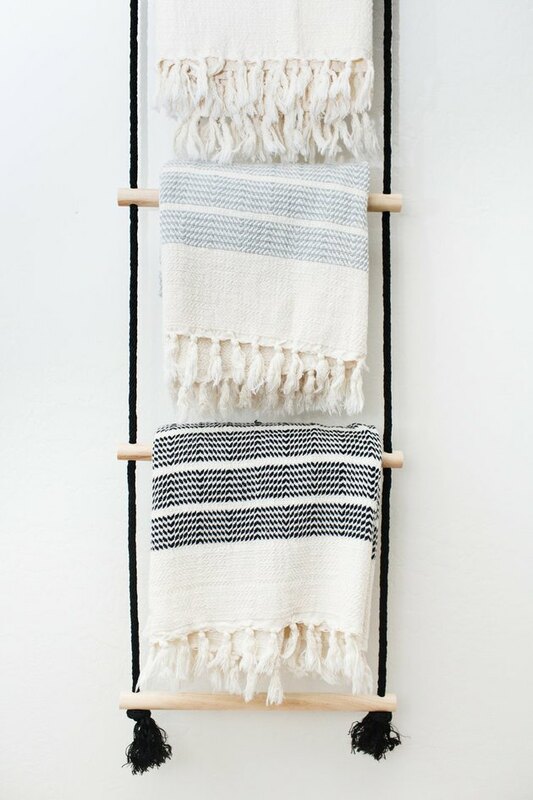 To that end, there's no denying a blanket rack is essential. And whether you prefer to buy or DIY, we've found 11 stellar options to better organize your cuddly collectibles. Want to add a dose of farmhouse style to your pad? 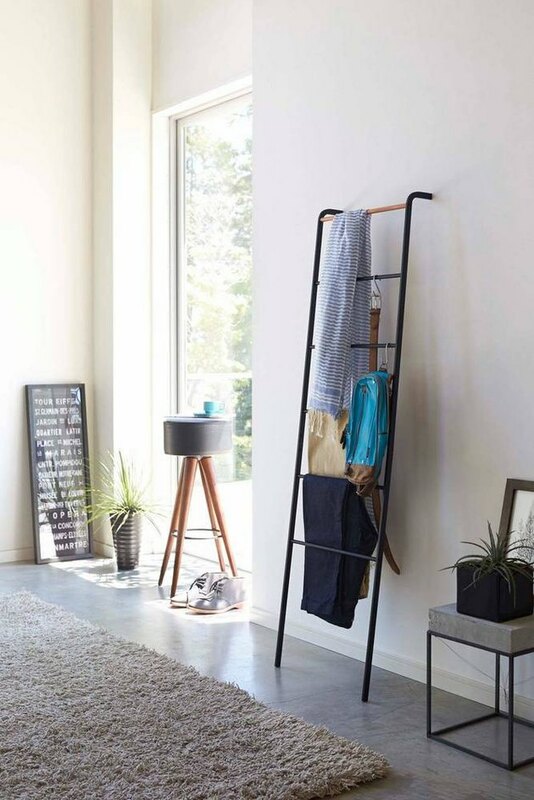 This freestanding wood blanket rack doesn't need to be screwed in, making it ideal for rentals. And bonus: It arrives fully assembled and ready to use. Are you ready to put your crafting skills to the test? Relax. This minimalist wood dowel DIY by The Merrythought is a pretty safe place to start — its simple design almost builds itself. 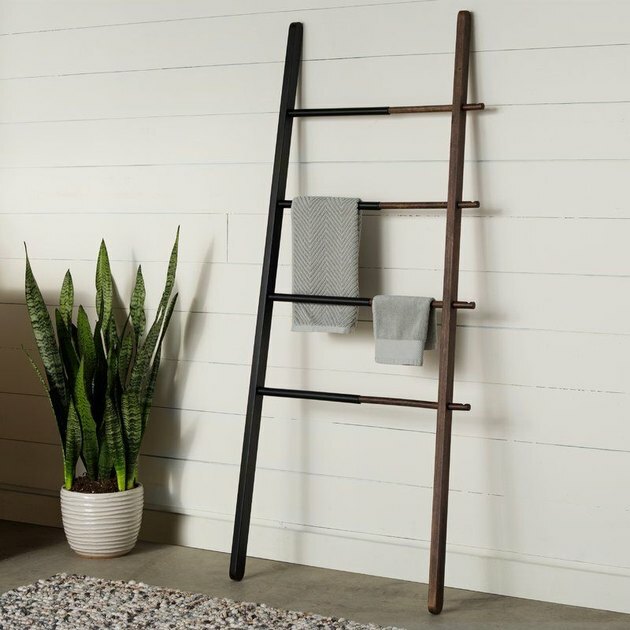 Don't let the name fool you, this streamlined matte black iron ladder is great for more than just towels. Place it next to your favorite reading chair and drape a few chenille throws for an ultra cozy setup. If a plain wood dowel blanket rack doesn't quite do it for you, opt for something with a little more pizzazz. Lauren from Foxtail and Moss steps the look up a notch with this DIY by adding copper accents ... and you know how we love copper. 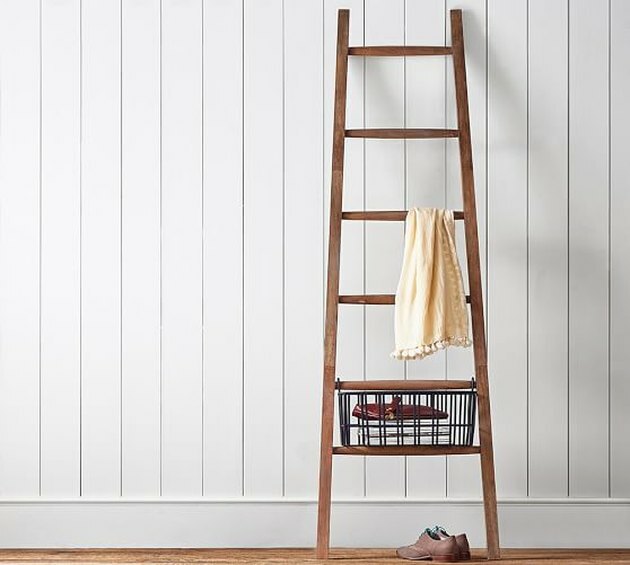 For folks with a massive collection of cuddly items, this sturdy ladder made from stainless steel does the trick. Pile it high with blankets, throws, scarves, and more. Plus, it's a steal at less than $50. Ready to show off your crafting ingenuity? This project is perfect for seasoned do-it-yourselfers and newbies alike. All you need are a handful of supplies to create a swing arm blanket rack that will make your guests say "wow." Searching for something unique to give as a housewarming gift (or keep for yourself)? 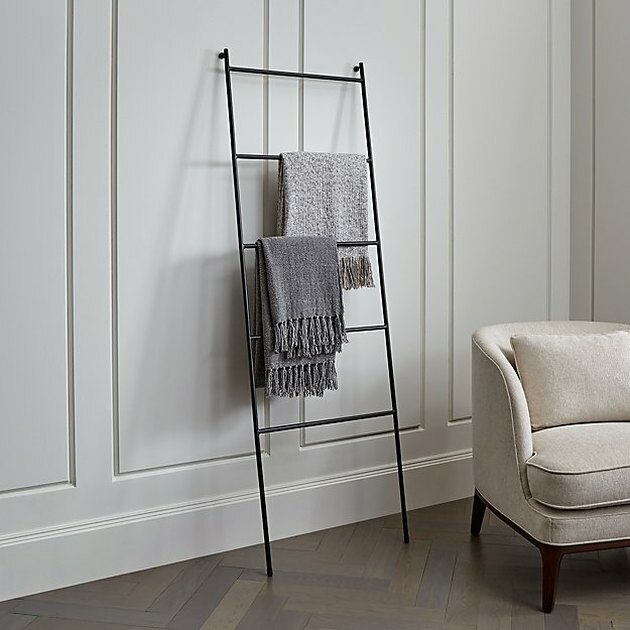 Handcrafted from domestically sourced white ash wood, this two-tone blanket rack is sure to maximize space and style. 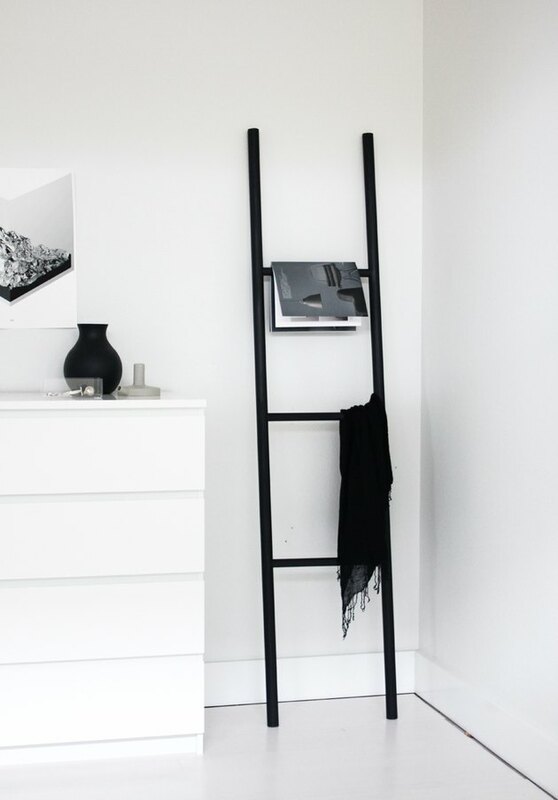 You know what they say, you can never go wrong with a little black dress or a chic black blanket rack. 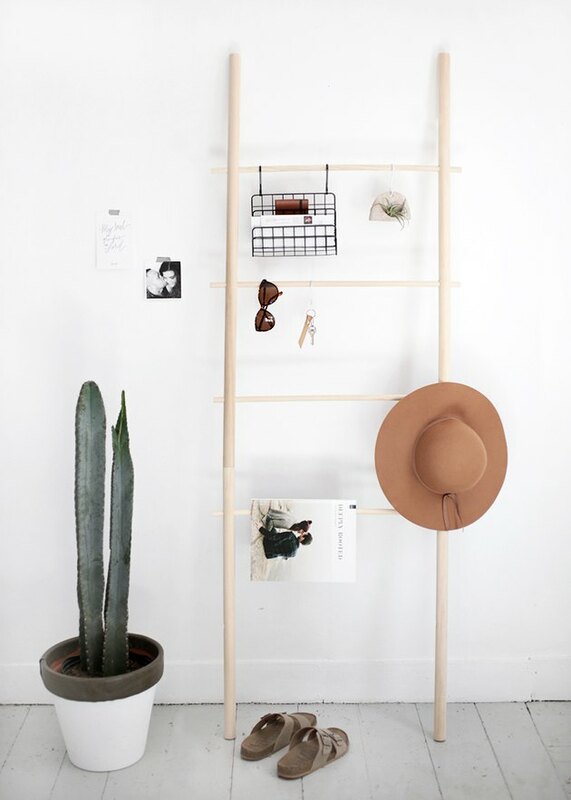 OK, we made that last part up, but that doesn't make it any less true as proven by this striking DIY ladder from Jennifer over at A Merry Mishap. 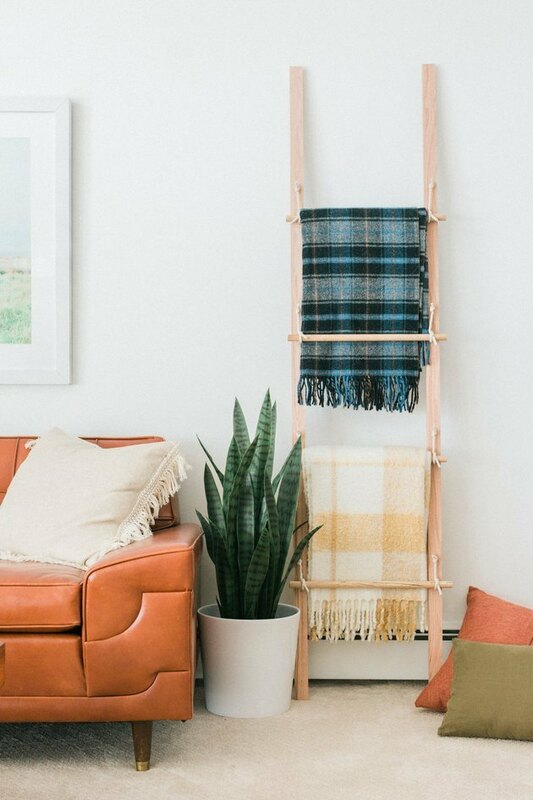 A blanket rack is one of the most versatile pieces of furniture. So, why limit yourself to the living room? It also doubles as a genius spot to hang towels — particularly if your small bathroom is short on storage. 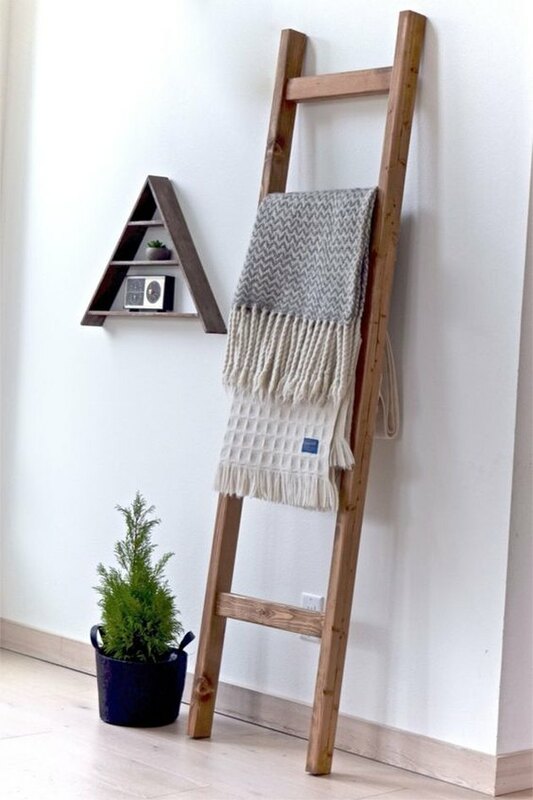 We simply adore this clever twist to the traditional blanket rack. 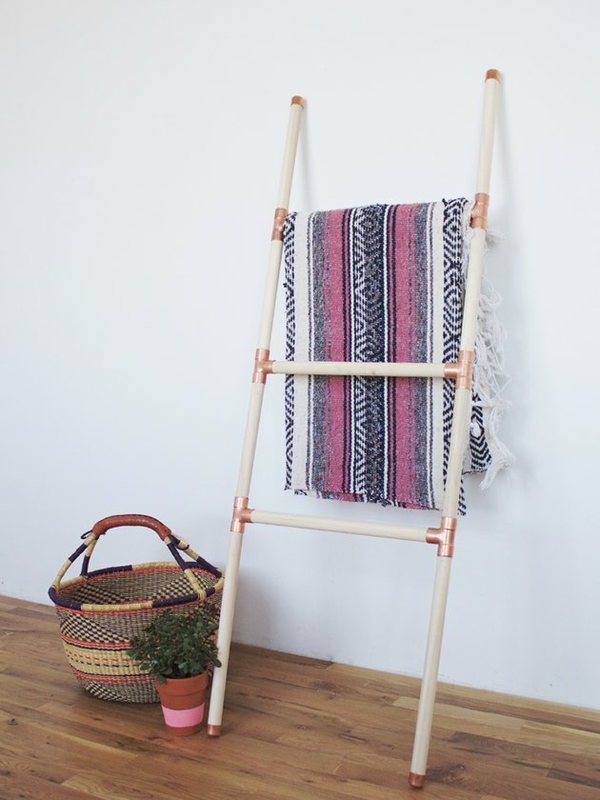 With the help of her friend and DIYer Janet Crowther, Alexandra from Ave Styles added a little boho flair to her bathroom with this DIY hanging ladder made with wood dowels and black rope. Swoon! Looking for a way to dress up your entryway? 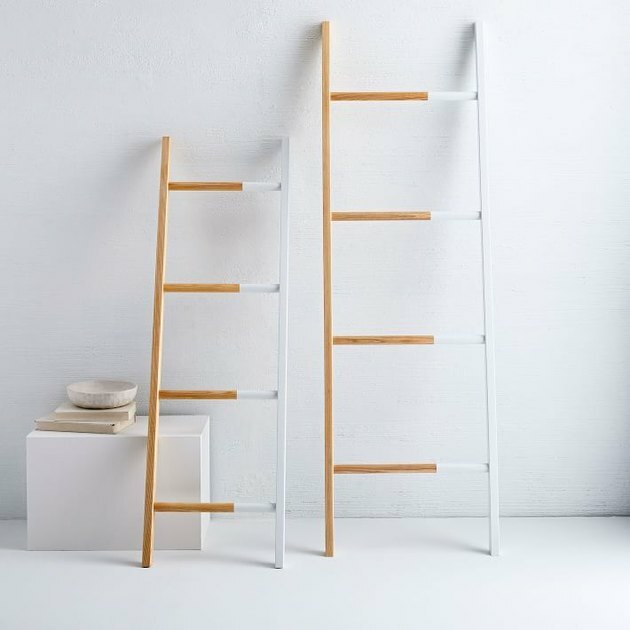 Fashionable and functional, this leaning ladder comes with extra special touches like hooks and a removable basket for small stuff like the car keys that you can never find.